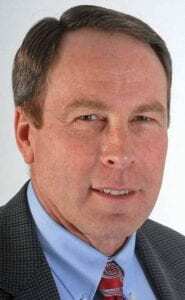 Tim Ritchey will become group publisher of McClatchy’s Merced Sun-Star, The Fresno Bee and The Tribune in San Luis Obispo when Ken Riddick departs at year end, The Fresno Bee reports. Ritchey, who is also VP/Advertising for McClatchy’s West region, will continue to oversee The Modesto Bee, where he has been general manager since December 2017. Ritchey, with Modesto since 2007, previously spent 13 years with The Fresno Bee. Riddick, former Modesto president and publisher, had served as Fresno-based group president and publisher since October 2017.